Dubai: Last year Blue Point was a very warm favourite for this terrific sprint but was withdrawn just before the race on medical grounds. Godolphin subsequently won but Charlie Appleby and his team won with Jungle Cat, but were left ruing their luck with this one. However, they come back this year an even warmer order and he very much looks the one to beat in the $2 million Al Quoz Sprint, sponsored by Azizi Developments, having had a very smooth Meydan season so far. 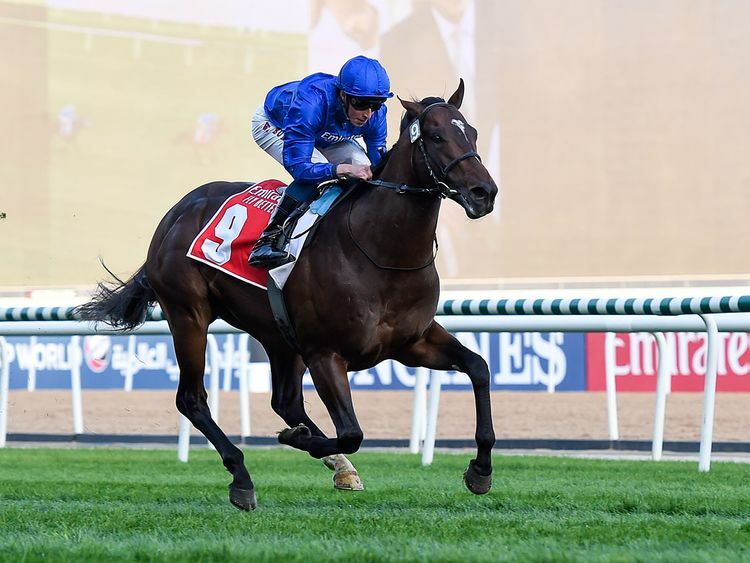 He has won the Group 2 Meydan Sprint and the Group 3 Nad Al Sheba Sprint in emphatic fashion and Appleby and William Buick with be hoping that lightning does not strike twice and they get the chance to show the world how good the five-year-old son of Shamardal really is. The Cool Silk partnership could only be dreamed of, having a runner on the big stage, but their increased investment in horses and they have been rewarded by the success so far of Sands Of Mali, which attracted the interest and subsequent partnership with Dubai-based Phoenix Thoroughbreds. This horse is a serious threat, having won the Group 1 British Champions Day Sprint at the tailend of the last European season. He is trained by the UK-based Richard Fahey and will be ridden by, Oisin Murphy, the man on the crest of a wave. This is a serious challenger. He has probably matured a bit and the biggest difference [from his last race here one year ago] is he is coming here now a Group 1 winner this time. He has proved himself and he feels like a very confident horse. No question about it. Stormy Liberal represents the stable of US maestro Peter Miller, who is a master with these sprinters. He is back again with another serious contender in Stormy Liberal. This horse capped a fine season last term with a victory in the Group 1 Breeders Cup Sprint in which he showed not only a fine turn of foot but good stamina to win. Former Dubai World Cup-winning jockey Joel Rosario takes the ride and he will only be a positive booking. Also from America is the Thomas Proctor-trained Caribou Club. This five-year-old son of City Zip arrives here looking for a hat-trick of wins having put in two impressive runs at the end of 2018 Stateside. He looks progressive and is certainly one for the notebooks. For many years the Australians have been experts in sprinters and therefore it is just fabulous to see them bring three horses over with live chances. Viddora could be the pick having won the Group 1 Moir Stakes last year but Brave Smash finished second to him that day and it would be no great surprise to see the Group 1 Manikato Stakes winner reverse that order. Illustrious Lad completes the tri-pronged assault. You would be mad to ignore Aiden O’Brien in any race around the world. Ryan Moore is a master of his trade and will only be a positive influence on four-year-old Lost Treasure, who progressed nicely last season culminating in a good effort in the Breeders Cup Sprint. Of the others locally trained Ekhtiyaar and Hong Kong-trained Wishful Thinker could enter calculations. This will be a tough assignment for Blue Point, but he is fancied to be involved in a tight finish with Stormy Liberal and Brave Smash.